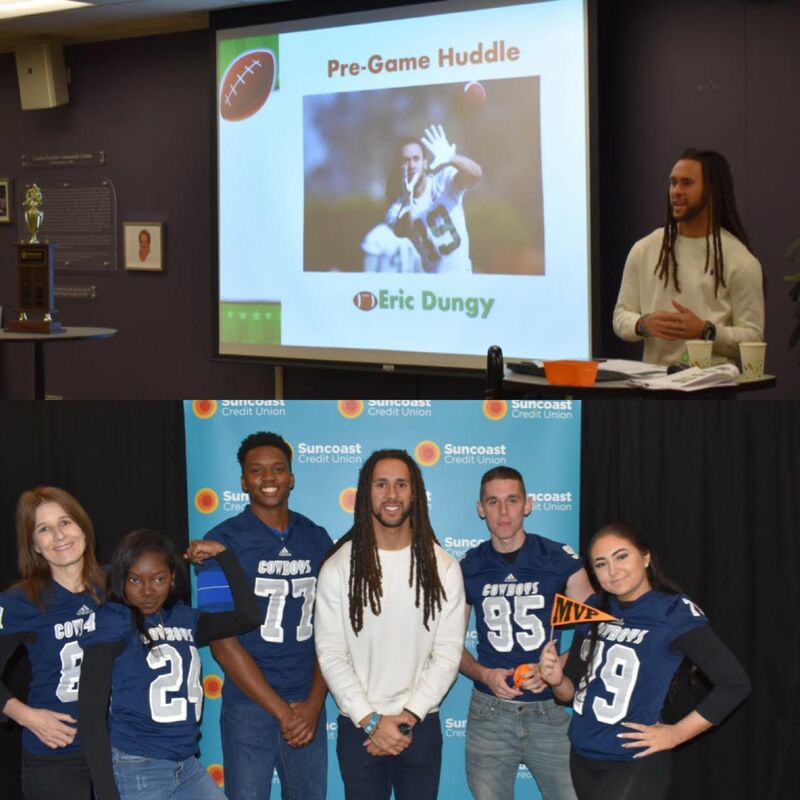 A few days ago I was presented with the opportunity to speak at Suncoast Credit Union’s ‘Financial football’ event. Suncoast does a great job teaching financial literacy to high schoolers in a fun, engaging way. When I was given the opportunity to speak at the event, I jumped at it! The importance of education has been passed down in my family for several generations. My Dad’s parents were both college professors, while my Mom was a school teacher for many years. While I appreciate formal education, I often feel like crucial life skills can be overlooked in school settings. I can remember times as a young adult asking myself “why haven’t I learned this before! ?” Those frustrating moments have stimulated a passion for me-- teaching others what I wish I knew. Weather it is speaking to NFL rookies with the Ben Moss Group, or high school freshmen in Tampa, I think everyone needs to have a foundation of financial literacy. My main goal when speaking to any group of people is empowerment. I want to inspire them to do well for themselves and more importantly give them some of the tools do so. To me, so much of financial literacy comes down to accountability. Am I being smart with my money? Am I doing the most to protect it? To help it grow? Etc. You would be surprised how many people don’t even know where to begin, which can be a daunting proposition. Weather clients, friends, or complete strangers I may never see again, I hope I am always motivating others to become the greatest versions of themselves when I speak. That's a desire my Dad passed down to me and one I want to share with everyone I come in contact with.